"dotTrace permite conectar perfiles a procesos en ejecución de forma dinámica"
Lo mejor es que permite conectar perfiles a procesos en ejecución de forma dinámica con el fin de detectar posibles problemas de rendimiento cuando aparecen en la ejecución. dotTrace también ofrece mejoras en cuanto a la tecnología de creación de perfiles remotos, permitiendo detectar cuellos de botella que ralentizan el rendimiento en servidores en ejecución, sin tener que desplegar toda una infraestructura para ello. Esto proporciona más oportunidades para localizar problemas en aplicaciones .NET que se están ejecutando en entornos de producción. Funciona bien no tengo quejas, ademas siempre esta actualizando. Entre los beneficios esta conseguir información precisa sobre los embudos de cuello de botella en una variedad de aplicaciones .NET. .Tiene aplicaciones de perfil con gran precisión en varios modos, incluyendo las aplicaciones de perfil remoto, también escritorios con perfil complejo y aplicaciones de servidor, gracias a una robustez sin precedentes. - Estimación inmediata de cómo la eliminación de un cuello de botella concreto podría afectar al rendimiento general de la aplicación. - Lanzamiento del perfil de Microsoft Visual Studio y cambio rápido para revisar los códigos de fuentes problemáticos. 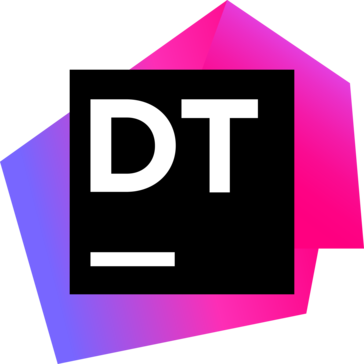 "Dot Trace - Performance Profiling Tool"
Interactive UI helps to learn faster and able to understand application much easily. Once we answer profile specific questions when we start profile an application we will get an option to take different views of the result . Profile sessions are saved automatically and you will be able to view by thread. Only thing i have noticed is we will not be able to view trace while its running and also may not be able to profile web applications that are running under IIS. I would definitely ask everyone to at least try once and see all the benefits that we can reap from this application. Most of us definitely would have ended up getting frustrated by not able to get the root cause for several of our performance issues in applications which can be traced out using simple application like dot trace would definitely help. I do not use any profiling tool until i do have a definite problem to solve and get the root cause for the same. VS do Provide in built profile but its a time taking process in my perspective where as Jet Brains Dot trace has been a simple and faster application. You can also integrate dot trace with VS , this will help us is analyzing timeline profile results in addition to starting a profile session which have helped us a lot in narrowing down root cause for some critical issues. Like that you can set a timeframe where you can capture what calls are made and what methods are called. It is an amazing tool for someone new to the source code and trying to fix a bug or figure out where the calls are happening with out going to put break point everywhere. Also, Query optimization is an awesome thing it does. one other thing that I like is it's smooth integration with Visual Studio. I thing the biggest factor is it's pricing, I think it is like $500 for a commercial license. I think there are some free options also available out there so this is making it a bit hard for people to commit to this. Make sense of the data to the user. The UI is flashy sometimes, make it more meaningful. Trying to produce bug free code, Also helps new developer write code a-tuned to the performance guidelines. "A magical tool for developers"
It helps you with accurate data on calls and execution times. One of the best options is using timeline data, which helps you with the analyzing of the performance issues and tells you the proper order where it is happening. dotTrace integrates with Resharper, which is really convenient, as you can profile the performance of a unit test with one click from the IDE. Also, it really helps with SQL query optimization, by letting you know why the query is taking so long. You can instantly get comprehensive profiling data without having to build your solution, run the profiler and perform a usage scenario. It is pretty expensive. It has a 10-day evaluation available; pricing is $199 for an individual, non-commercial developer, $499 for a commercial development license, or $2,499 for a "floating license" for commercial usage. it is not as competitive as other tools, also other tools provide Profile C# or any other .NET code line by line, with precise timing data so you can find issues at a glance. Expensive lines of code are automatically highlighted for quick visual inspection, whereas it is lacking these options. Memory optimization, profiling an application so potential problems could be eliminated. Use the interactive timeline to check the CPU usage of your .NET or ASP.NET application and highlight problem areas to focus only on the data that matters. The main thing I dislike is the price of the software. Although it has many features than the traditional profilers but still its price is very much high. I use DotTrace for software profiling, memory optimisation and .NET applications CPU usage tracing. "Profile and analyze results right in Visual Studio"
* We monitor all dotTrace reviews to prevent fraudulent reviews and keep review quality high. We do not post reviews by company employees or direct competitors. Validated reviews require the user to submit a screenshot of the product containing their user ID, in order to verify a user is an actual user of the product. Hi there! Are you looking to implement a solution like dotTrace?